This incredible 17th century portrait oil painting is by Dutch Golden Age artist Simon Luttichuys or Simon Littlehouse as he was also known. Painted in oil on panel circa 1650 the young gentleman appears to be wearing a Puritan or Pilgrim type collar. The detail in his face is quite astounding. The cloth background is very typical of Luttichuys paintings. Our painting came from Warren House which was designed by Regency architect John Nash. It was built in 1801–2 for George Eyre, scion of a long-established Wiltshire landowning family. In 2017 it was being sold for the first time, having been the New Forest seat of seven generations of Eyres, with a guide price 9.75 million.A genuine Dutch Golden Agge painting which should be in a museum. Warren House, Bramshaw, New Forest, Hampshire. 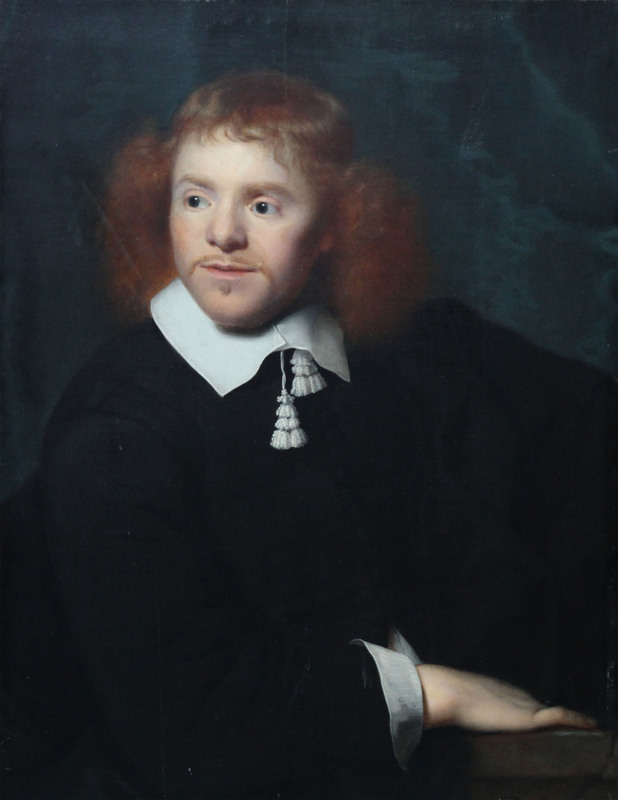 This is a fully catalogued work as Simon Luttichuys. Further povenance is in the catalogue raisonee by Bernd Ebert where the painting is photographed on three occasions and mentioned on pages 251486 and 528. Housed in a ebonised frame which suits the painting.